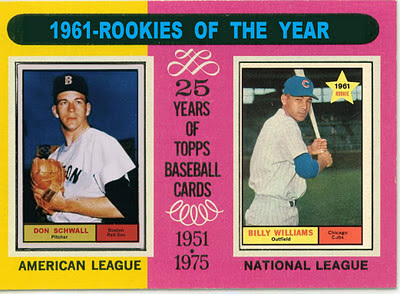 ...to its latest Rookies of the Year post for 1961. 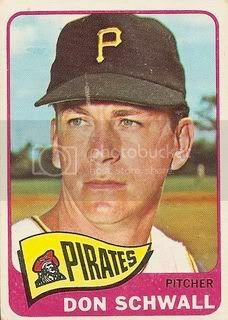 This 1961 version caught my eye because Don Schwall also appeared on my very first card from the 1960s, not something a young collector soon forgets. Man, that's just so old, right? At least it used to seem that way before I turned over a few decades myself. These days, 1965 seems well within the bounds of youthful exuberance. 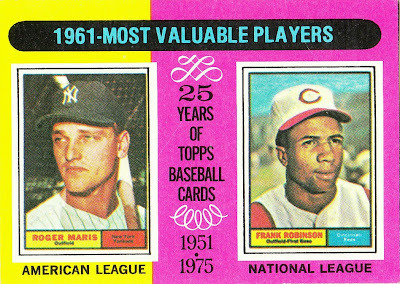 Thanks to Cards That Never Were for this trip down memory lane and find more great work in its series of custom 1975 Topps cards.